AAAaahhhhhhhh! It's already August!?!?!? What happened!?!?!?!? We don't go back to school until after Labor Day, so I still technically have a month. But I know that month is going to be filled with laminating and cutting and hanging and prepping and copying and begging (my family to help me!!!) and planning!!! My B2S must haves- I always always always have a Sharpie on me. Always. Thank you for hosting Farley!!! You can click the picture to get the label (if you want it). Hey Sandy---that's awesome you get to go to Disneyland!! I would love to go there! What a nice treat for the summer. We used to go back after Labor Day but not this year...aaargh I'm getting nervous! Glad I'm not the only one with noisy drinking dogs!! I hear you on the laminator! How did we survive without these at home for so long?! Enjoy your time at Disneyland! I'm headed there on Monday as well for some last minute daytime summer fun. I have an annual pass, so I am a frequent visitor (but usually on the weekends). Sandy, your "currently" could have been written by me :) Ahhh...Disney, so magical! I feel the same way about my laminator :) It is a life saver. Oh, how I wish we went back to school after Labor Day!! This year we go back the Monday before. I really need to invest in a personal laminator. I have one currently on loan from a coworker. I love my laminator! I can't imagine life without it. Have a blast at Disney. What a great way to finish out the summer. I hope you have an awesome time in Disneyland! We came back from Disney world a couple of weeks ago. Sooo much fun. The happiest place on earth when you don't go on a weekend during summer (I hope)! What a fun way to wrap up the summer and gear up for your new crew! 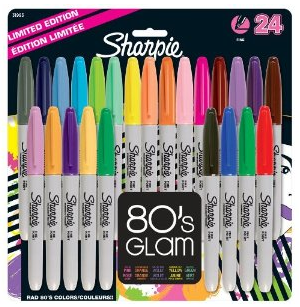 Love us some Sharpies as well! The more colors the better!!! 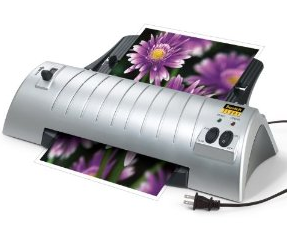 I love, love, love my laminator!! It's attached to my hip this time of year! Oh my GOSH! Seems like a simple idea, but a box top container??!? I LOVE! How many times a week do children give me handfuls of box tops? Too many to not have a bin for them! I just never had the forethought to do that. Haha. Thanks for sharing. :) I'm a new follower! Check out my giveaway if you can!